Turnitin is text-matching software service that is used to assess the originality of submitted coursework. 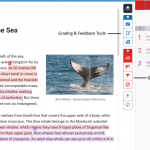 Turnitin highlights matching text in originality reports and has proven helpful both for deterring plagiarism and for improving student’s referencing skills. The main purpose is for originality checking and therefore accepts only text-based file formats (Word, PDF, etc.) that are under 40Mb in size. Group submissions and feedback are not supported as documents can only be submitted by individual students. 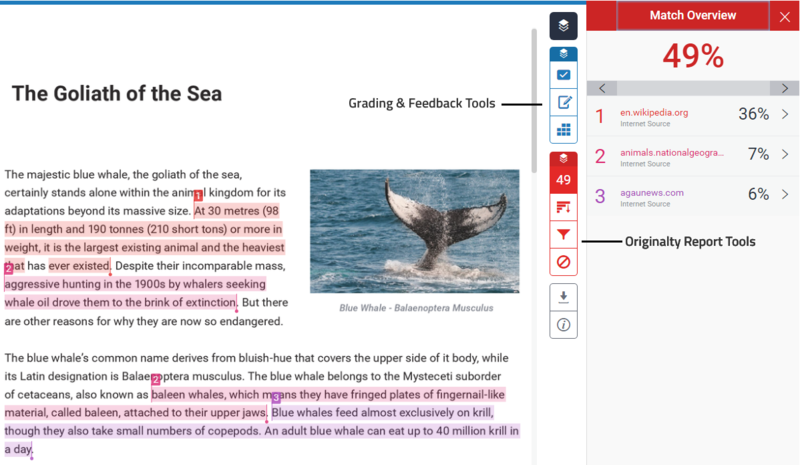 Feedback and grading is available through Feedback Studio (previously known as GradeMark) which provides weighted and qualitative rubrics, grading forms, bubble and text comments overlaid on submissions, and audio comments. The iPad app for markers provides an almost identical interface for feedback and grading, and can be used offline. The official Turnitin Instructor guide provides detailed instructions for creating an assignment, and the University Staff Guidelines provide hints and tips to help you set up, download and process student coursework submissions. You can listen to these Staff Voices from colleagues across the Schools which offer great insight on the pro’s and con’s of using Turnitin.